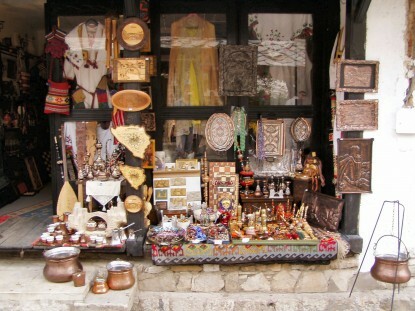 The vivid city has many cultural and religious features, including some of the most immpresive relics left by the Turkish, Ottoman, Empire during their rule in Europe. 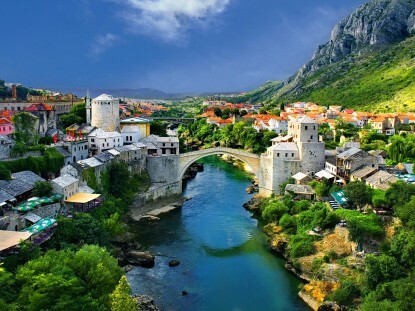 The historic town of Mostar, spanning a deep valley of the Neretva River, developed in the 15th and 16th century as an Ottoman frontier town and during the Austro-Hungarian period in the 19th and 20th centuries. 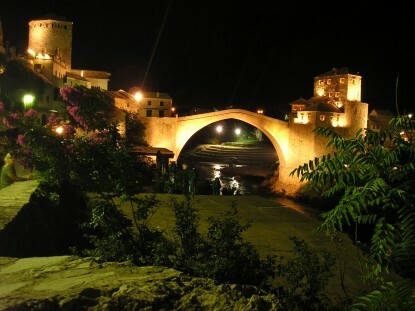 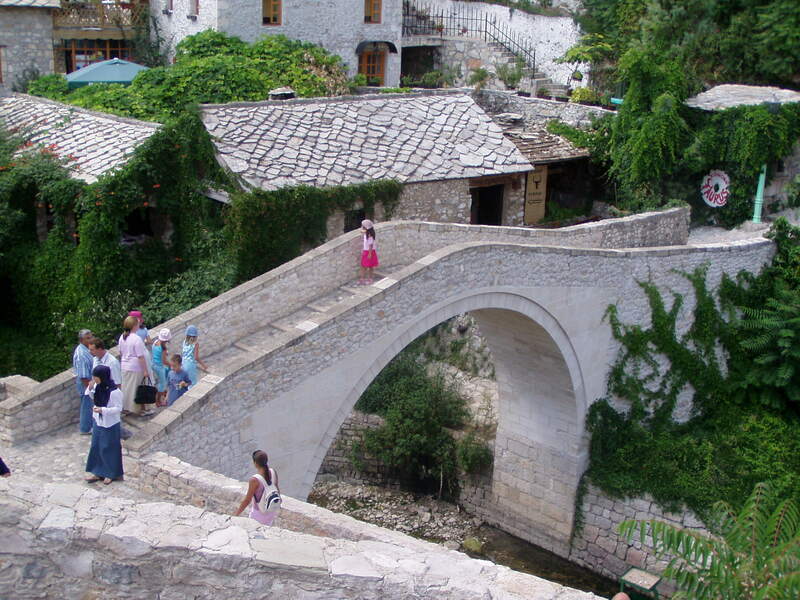 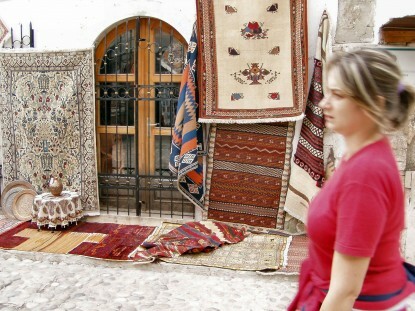 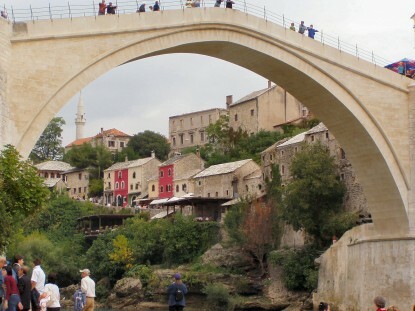 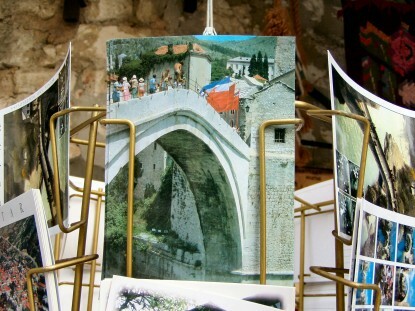 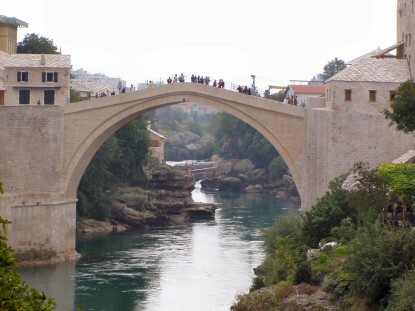 Mostar has long been known for its old Turkish houses and Old Bridge, Stari Most, after which it is named. 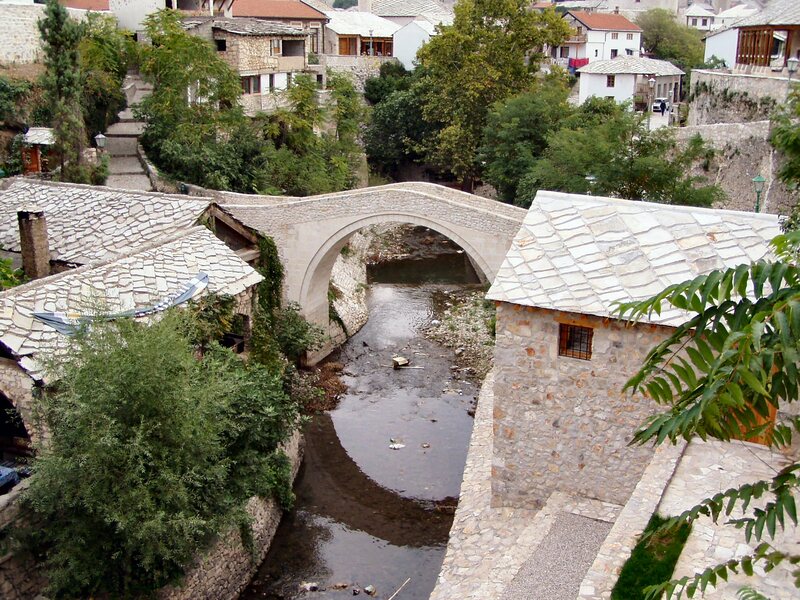 In the 1990 conflict, however, most of the historic town and the Old Bridge, designed by the renowned architect, Sinan, were destroyed. 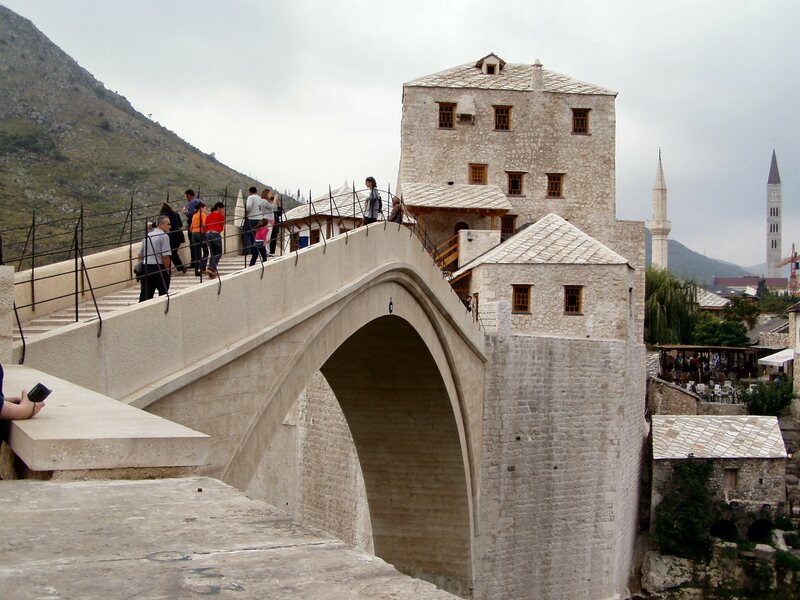 The Old Bridge was recently rebuilt and many of the edifices in the Old Town have been restored or rebuilt with the contribution of an international scientific committee established by UNESCO. 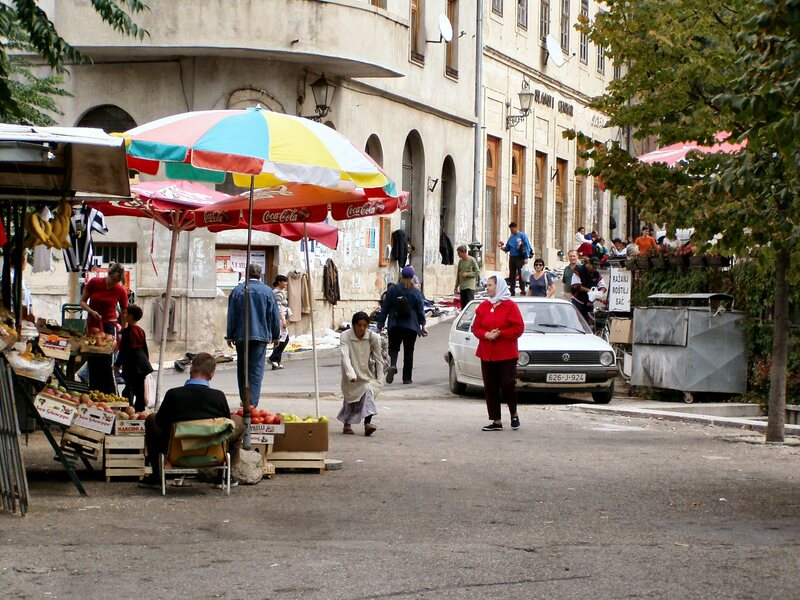 The Old Bridge area, with its pre-Ottoman, eastern Ottoman, Mediterranean and western European architectural features is an outstanding example of a multicultural urban settlement. 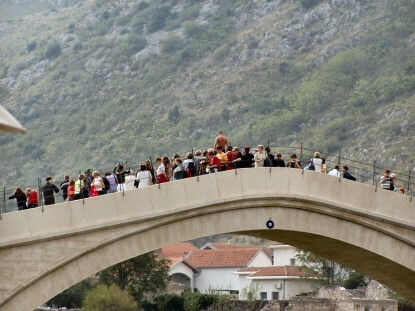 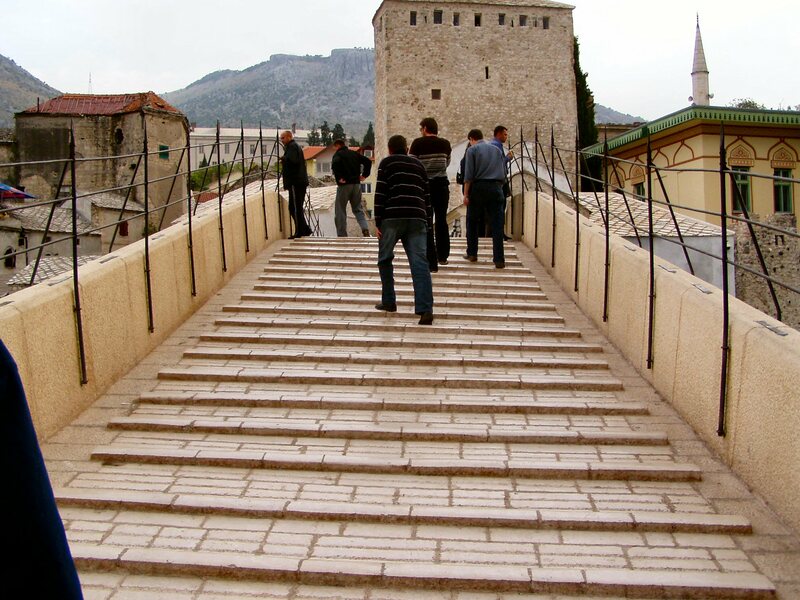 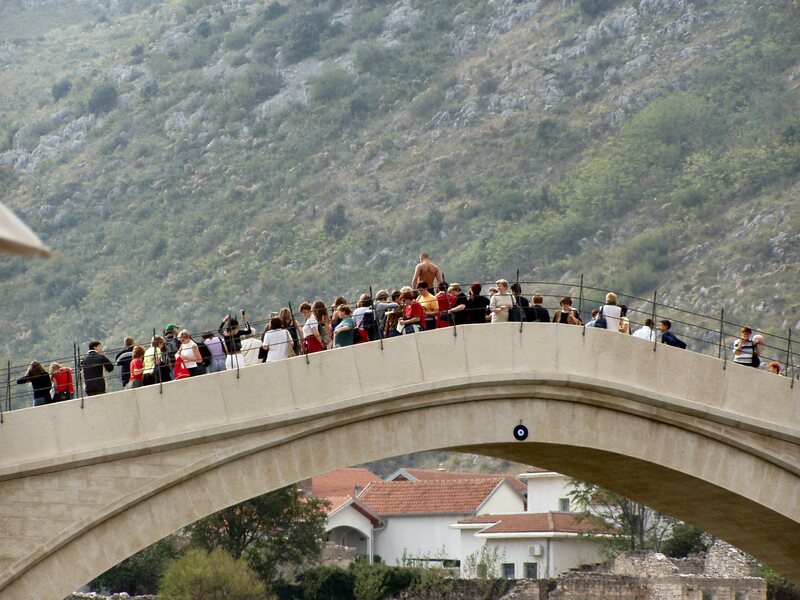 The reconstructed Old Bridge and Old City of Mostar is a symbol of reconciliation, international cooperation and of the coexistence of diverse cultural, ethnic and religious communities. 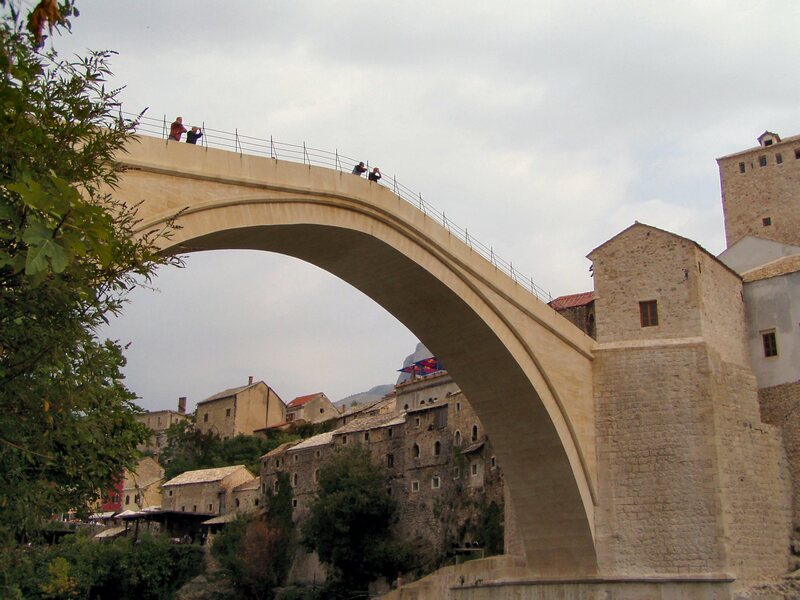 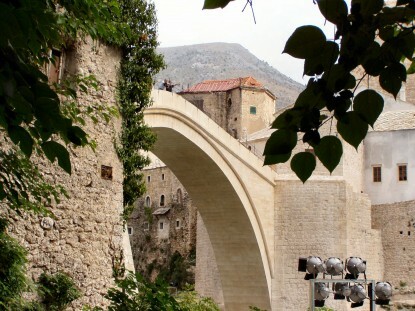 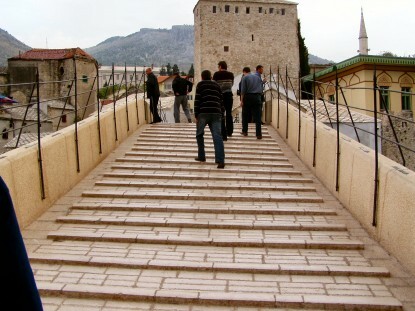 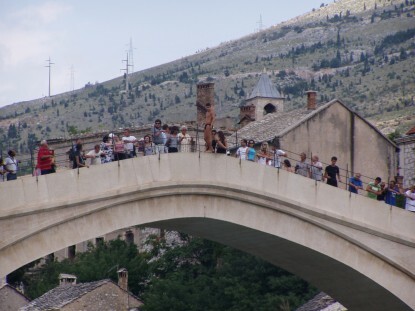 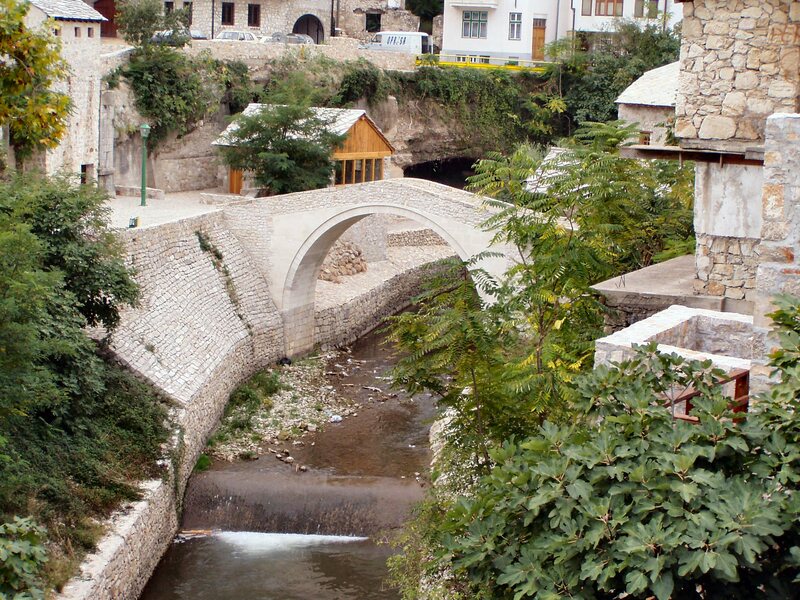 The Old Bridge (Stari Most) connects the two banks of the Neretva River at the narrowest point of the river gorge around which the city of Mostar developed. 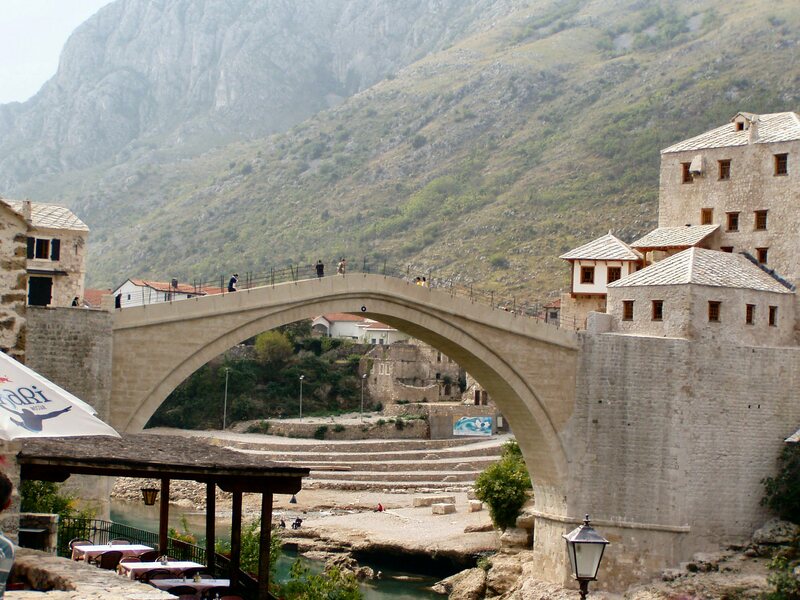 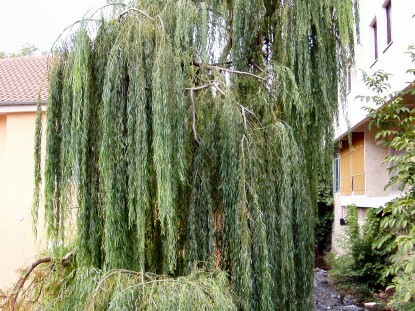 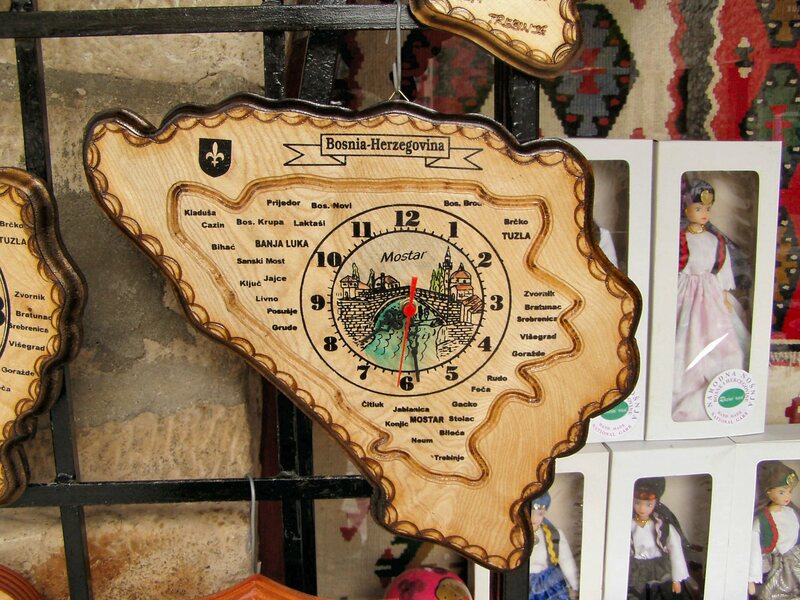 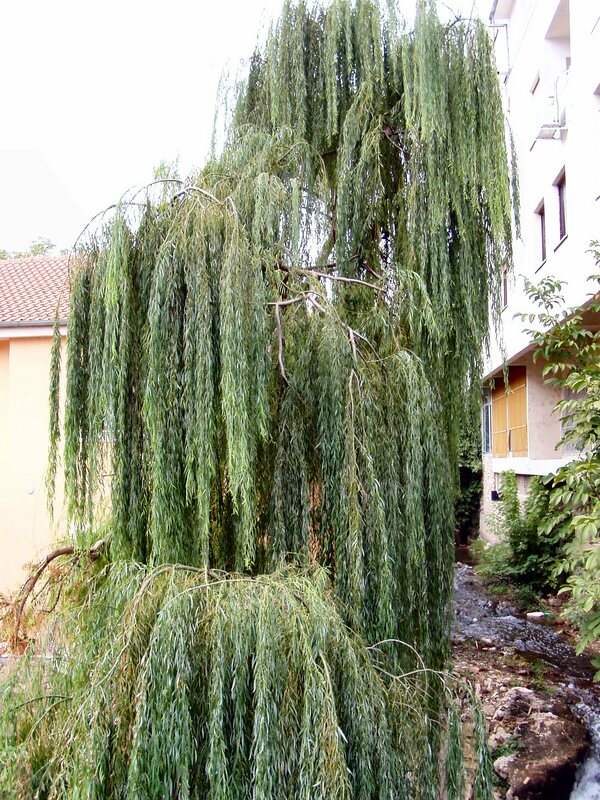 It replaced a medieval wooden bridge that marked the center of the first settlement here in the fifteenth century. 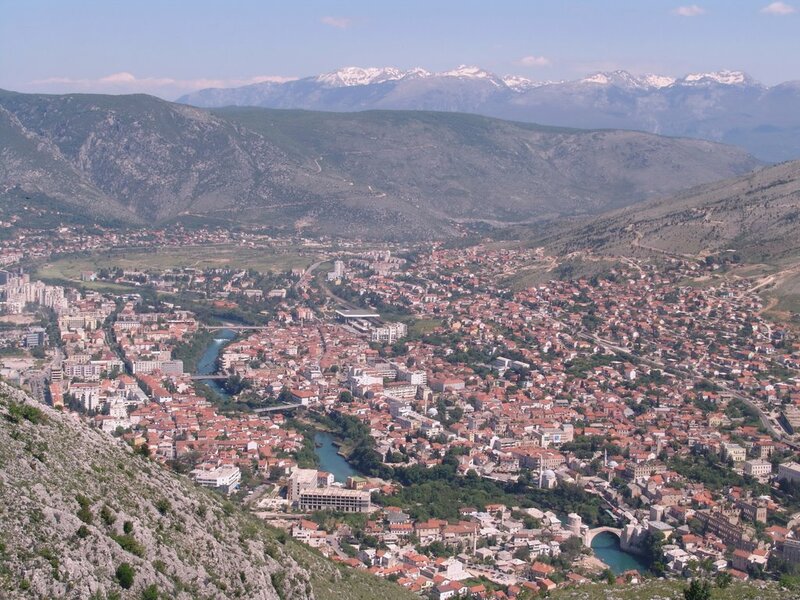 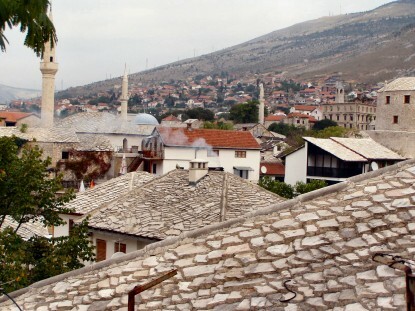 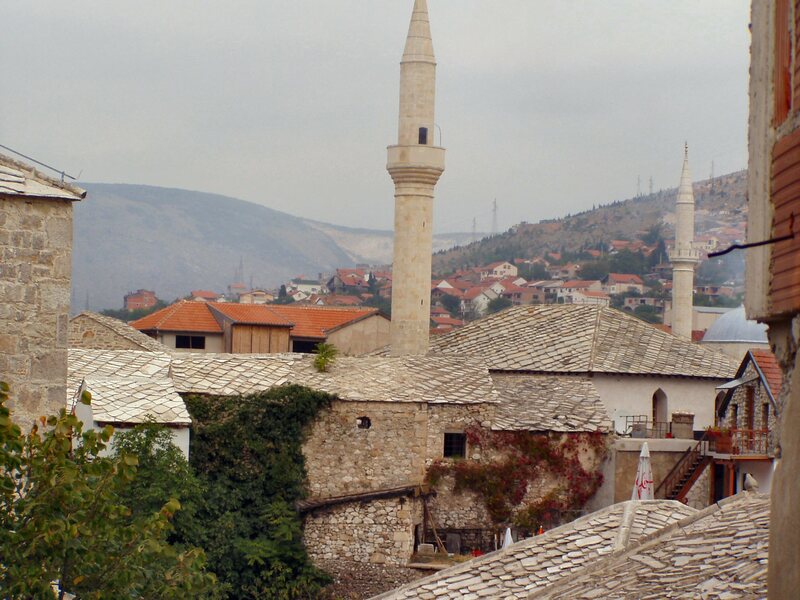 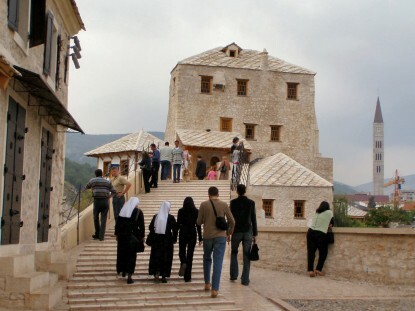 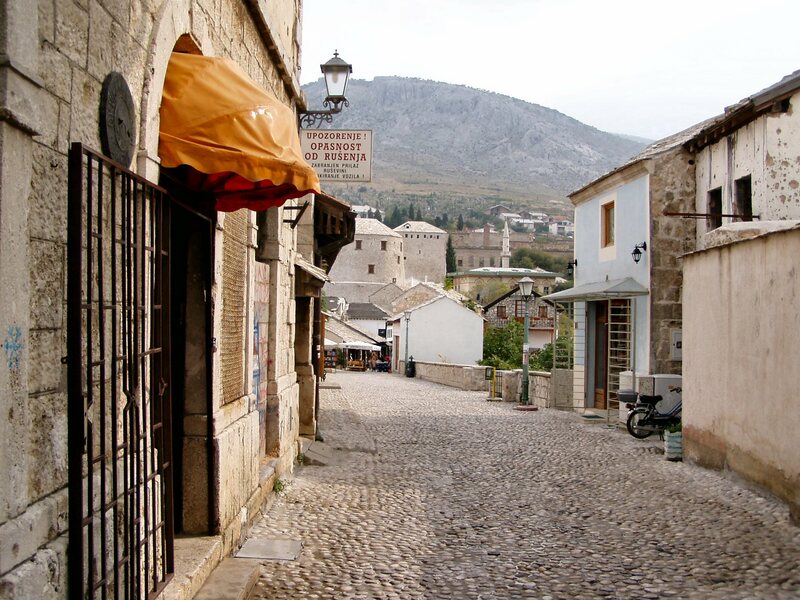 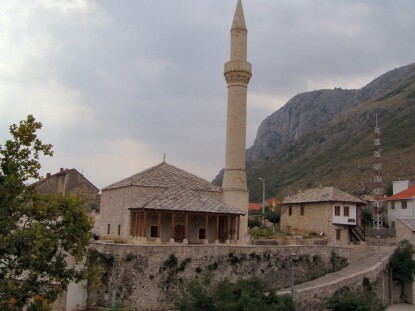 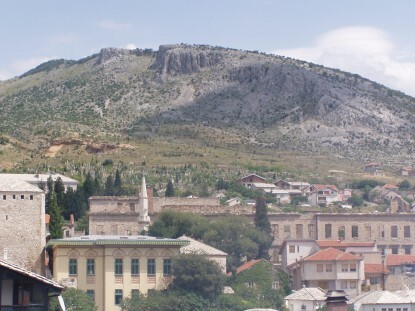 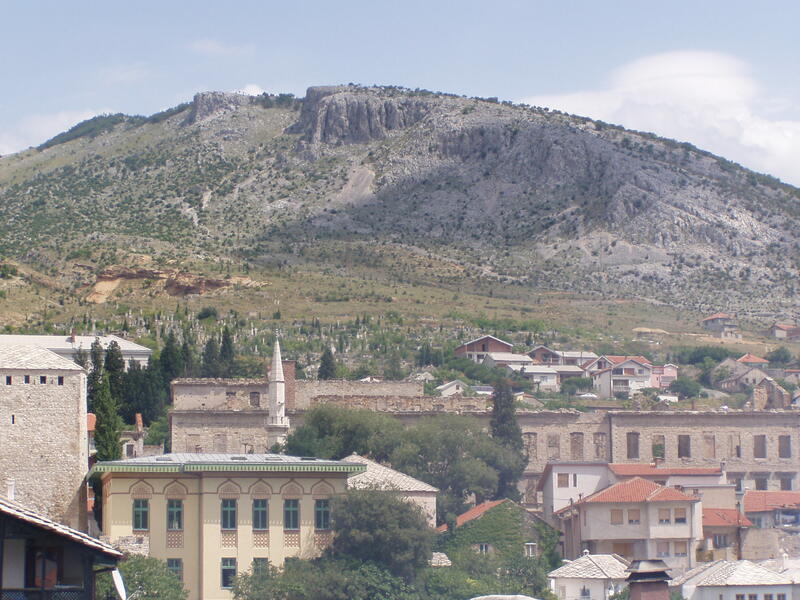 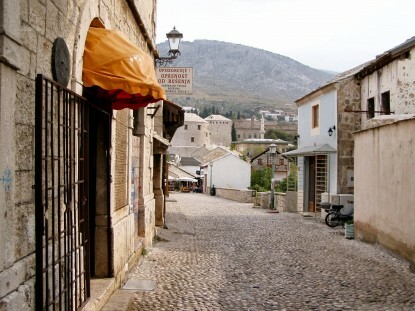 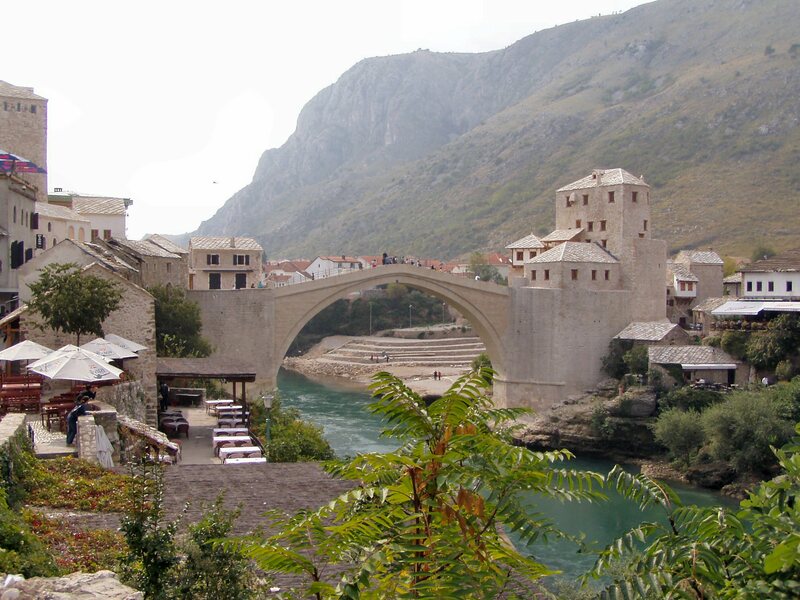 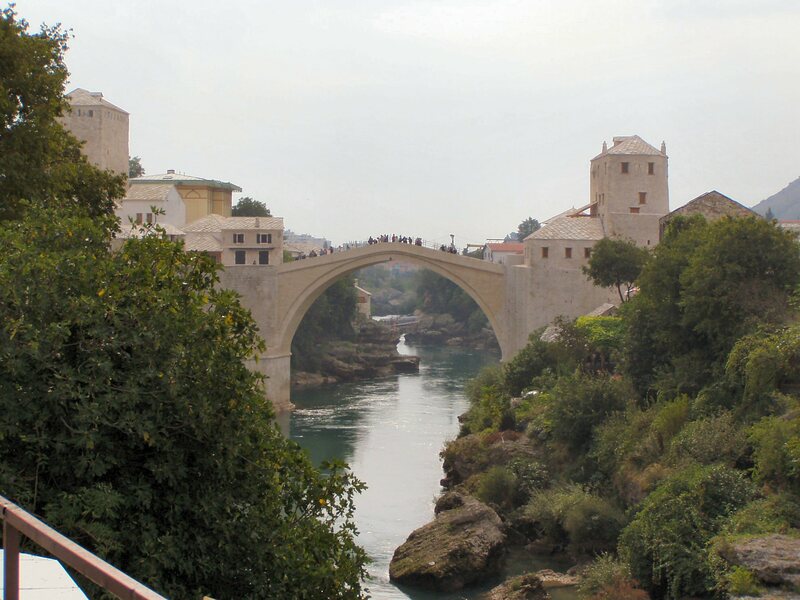 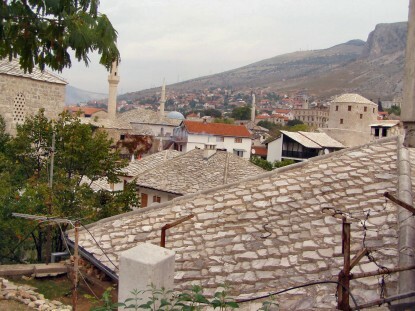 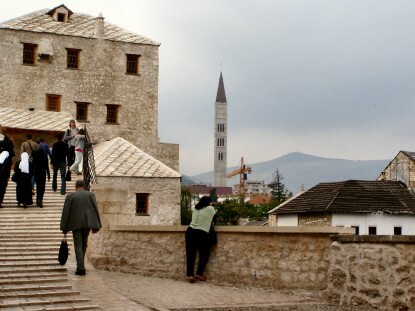 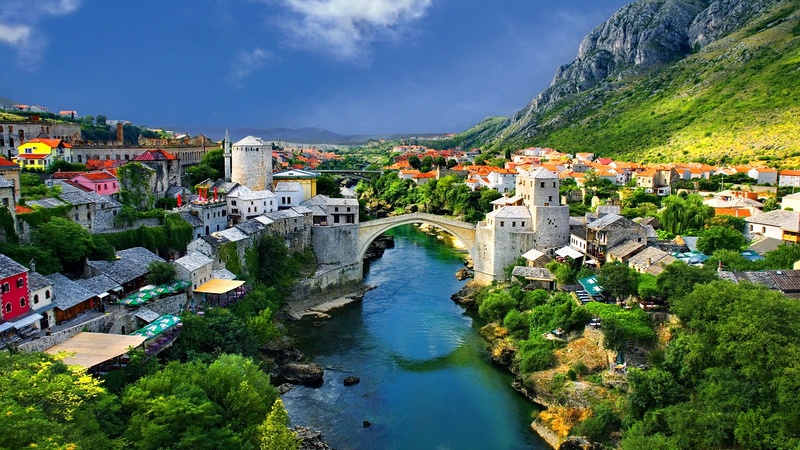 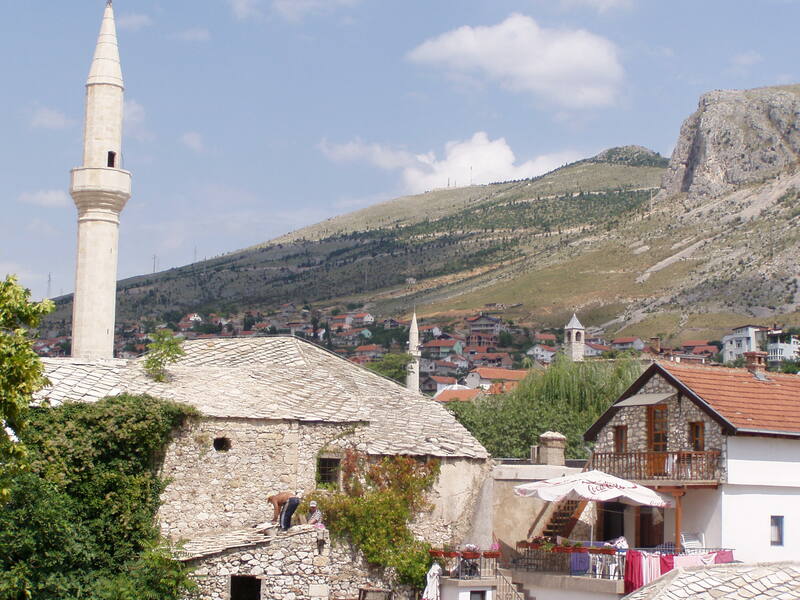 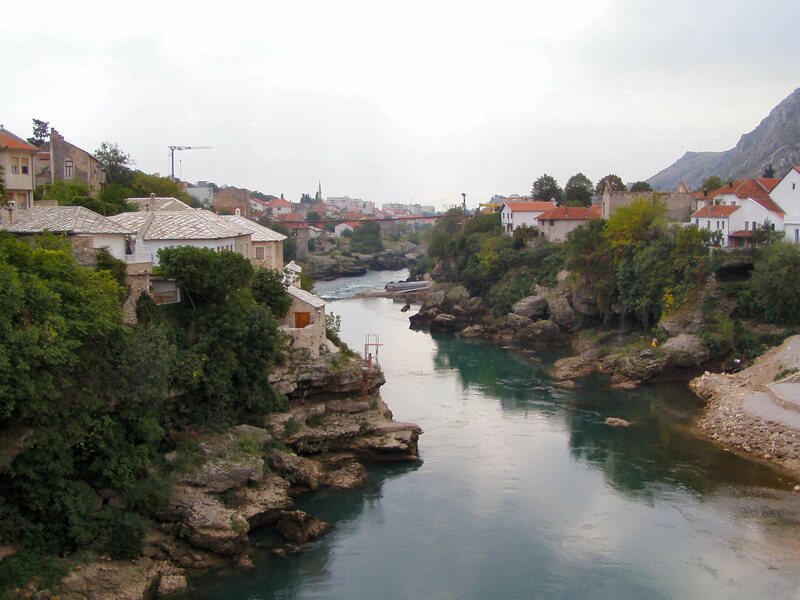 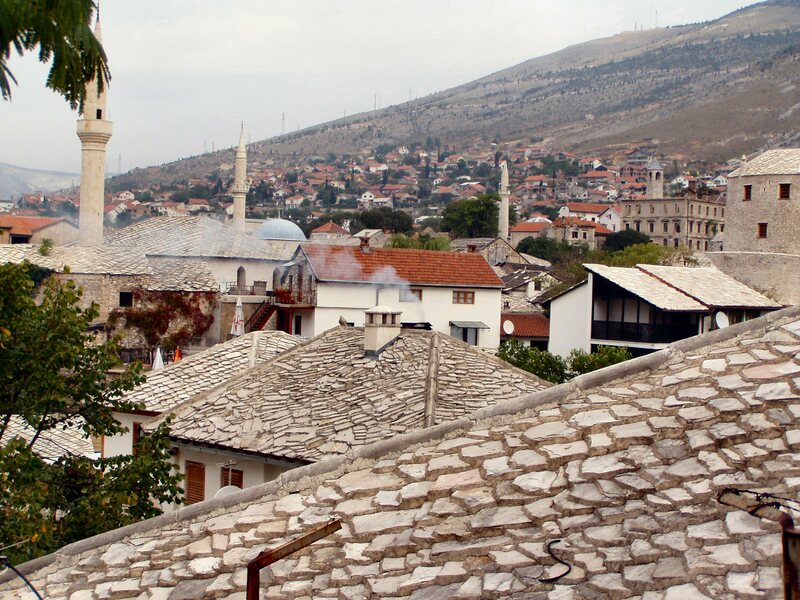 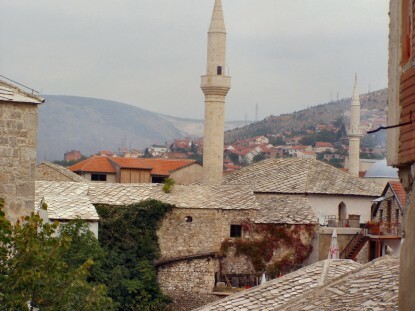 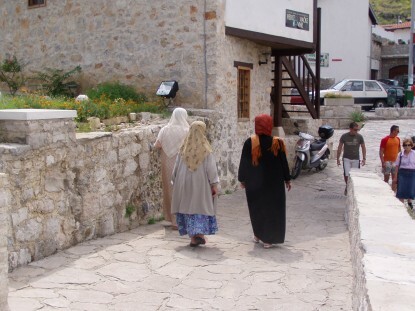 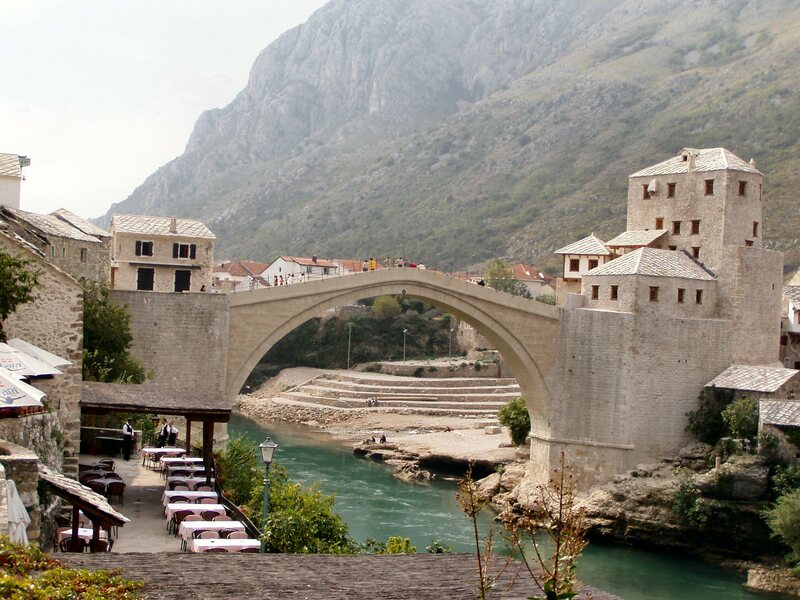 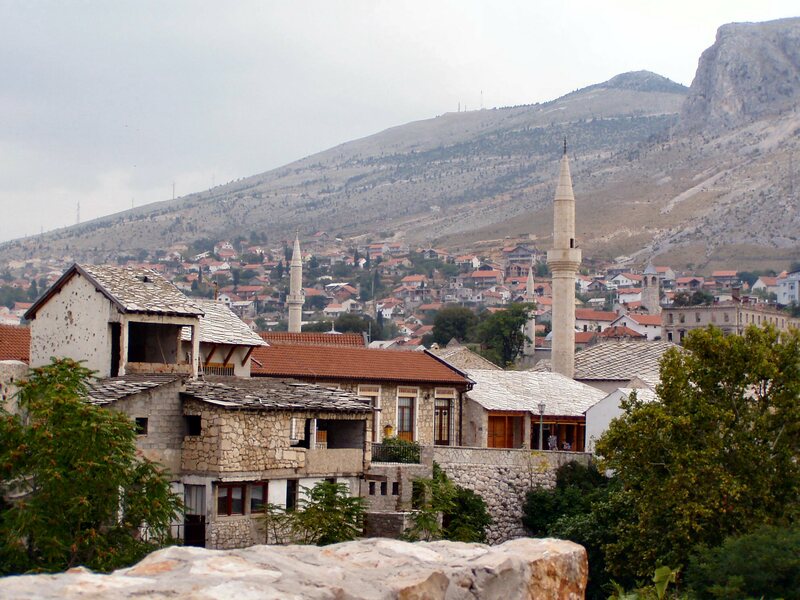 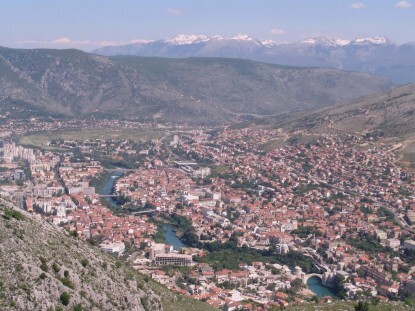 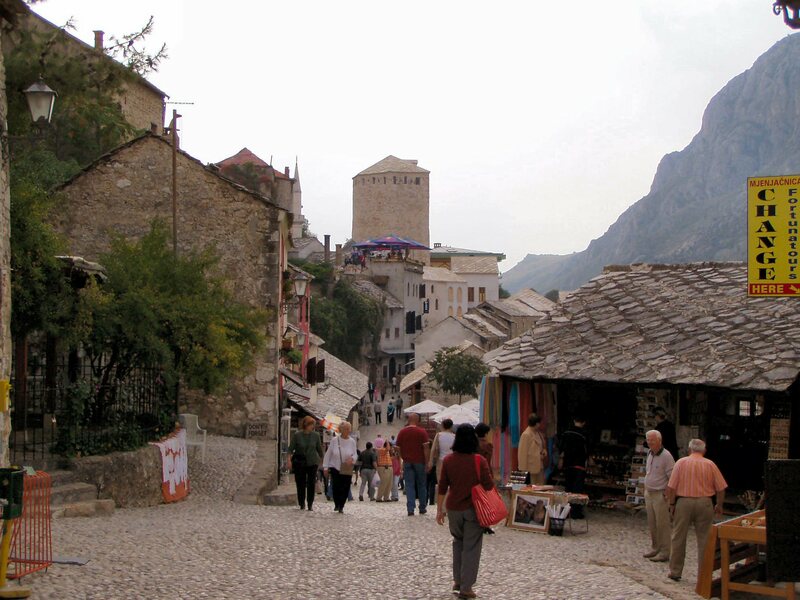 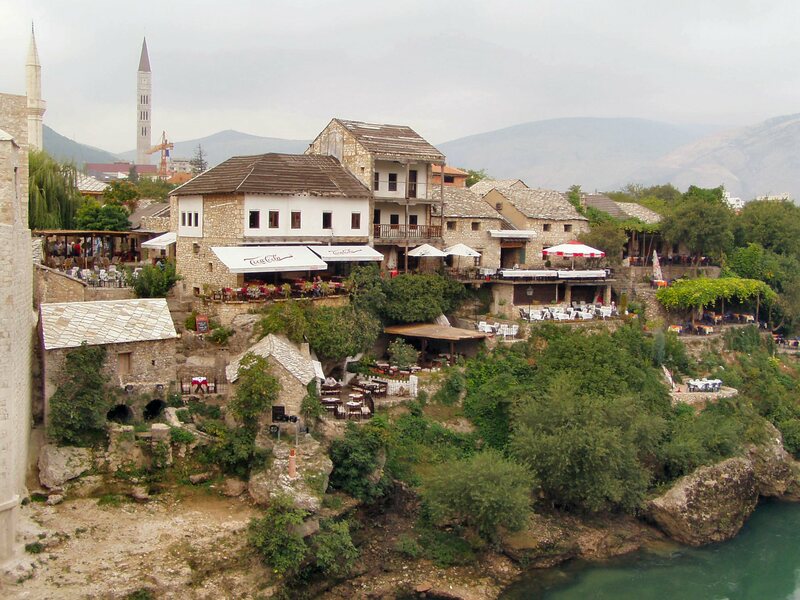 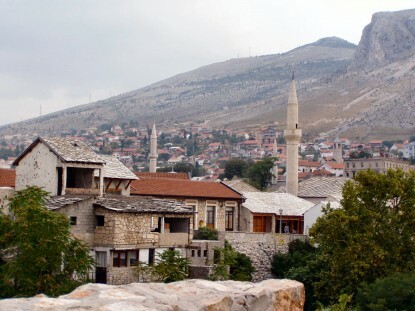 By the middle of the sixteenth century, the settlement had grown significantly, making Mostar the main regional connection between the Adriatic Sea and the interior, linking cities to the north, south and west. 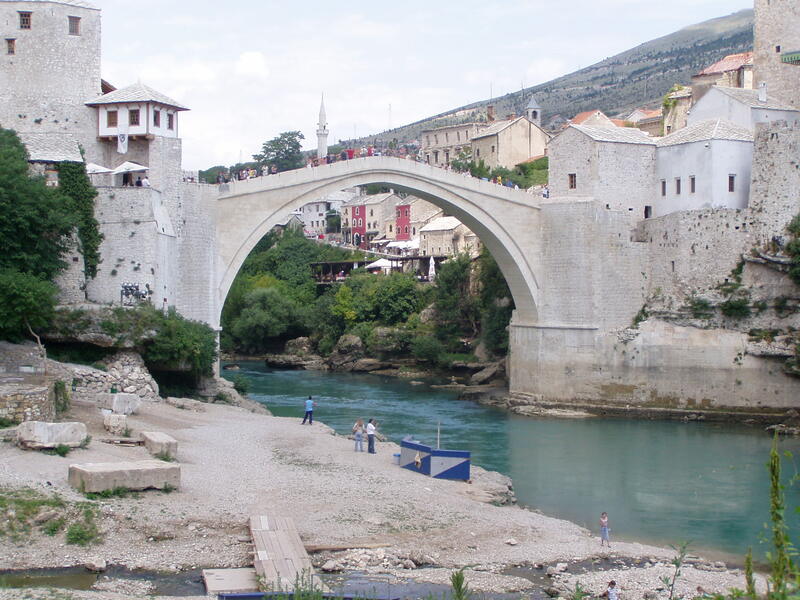 Its strategic location led Ottoman Sultan Süleyman I (1520-1566) to commission the production of a more substantial and permanent crossing. Constructed from 1557 to 1566 by Ottoman architect Hayreddin, a pupil of the master architect Sinan, the Old Bridge is known for the elegance and structural ingenuity of its slender single-span masonry arch. 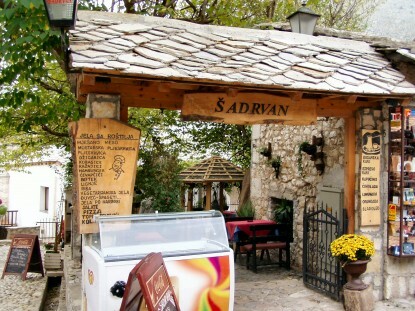 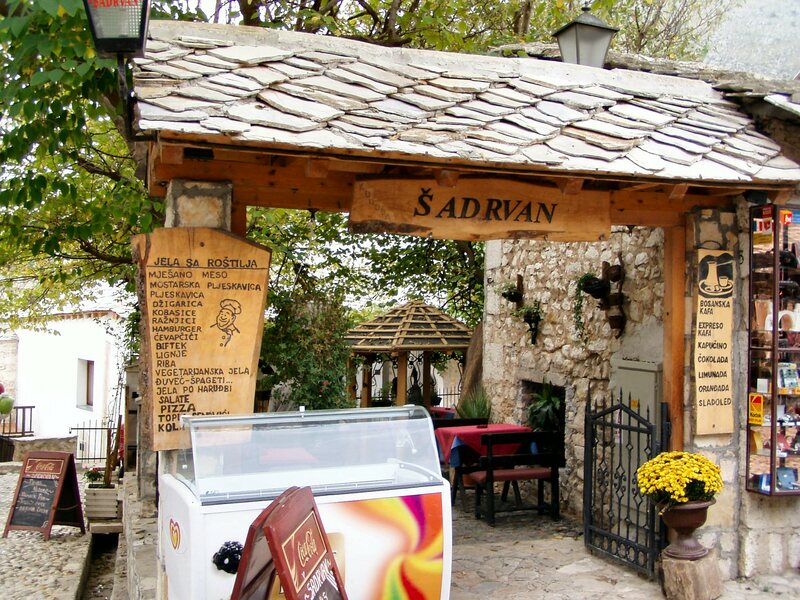 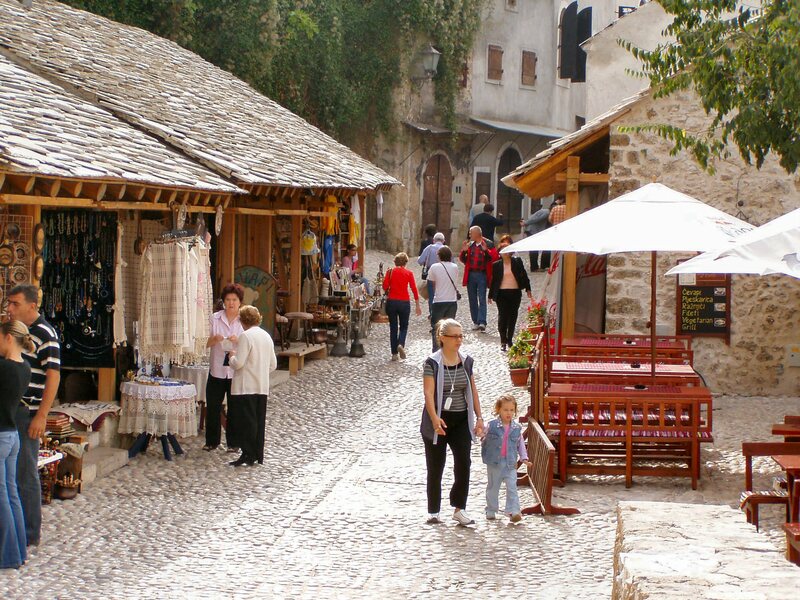 Pocitelj – this once-charming mediaeval town is situated in the vally of the Neretva River some twenty – five kilometers from Mostar, on the route to the Adriatic Sea. 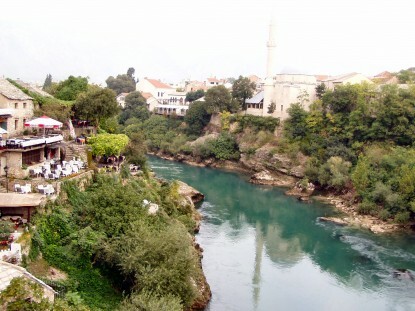 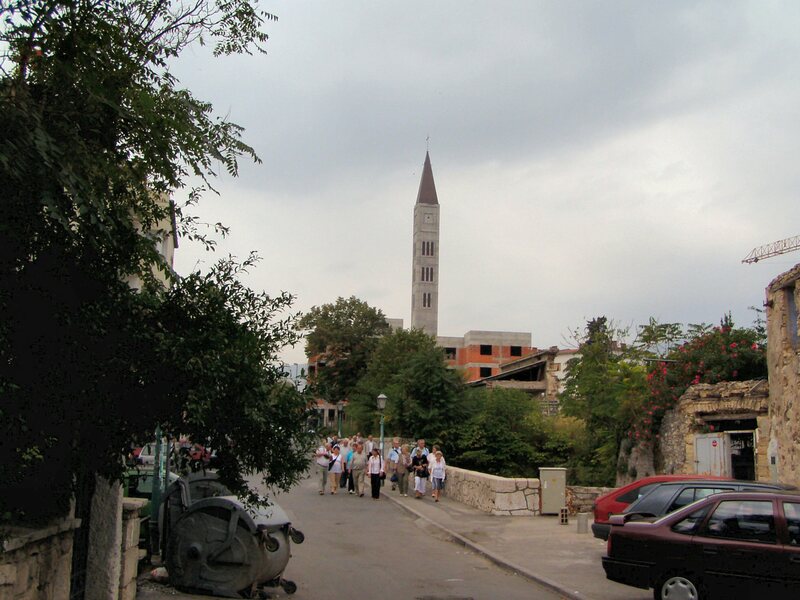 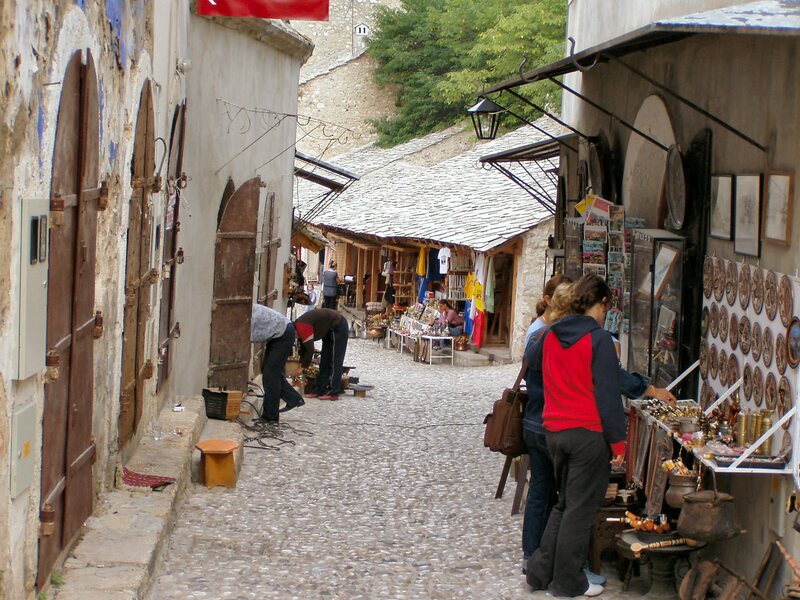 The history of Pocitelj is not well known and has to be researched. 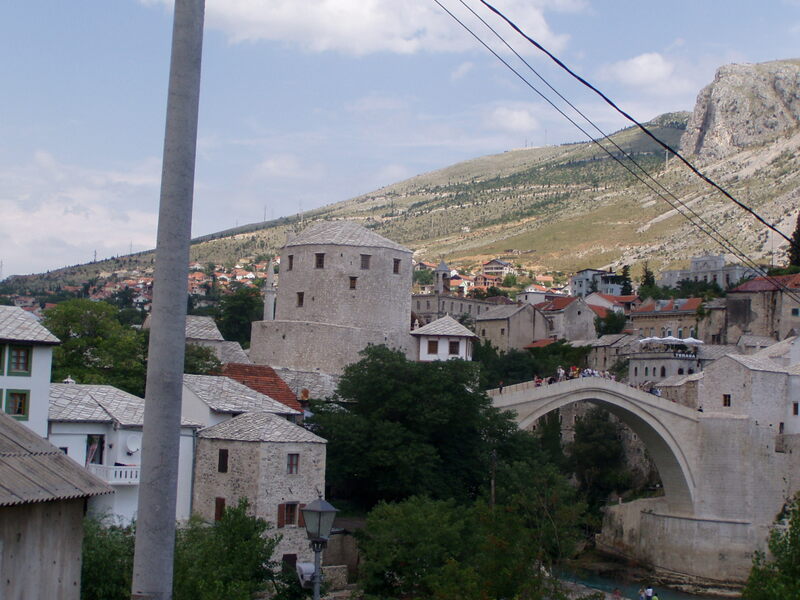 As far as we know, it existed in 1444 as a fortress supported by Hungary. 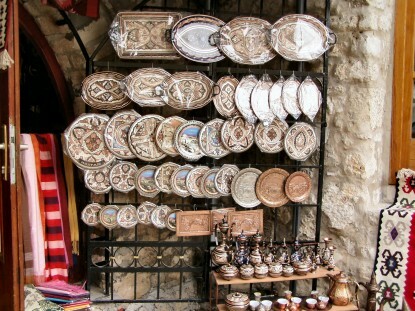 Turks took it over in 1471 and it became an important part of the Ottoman Empire. 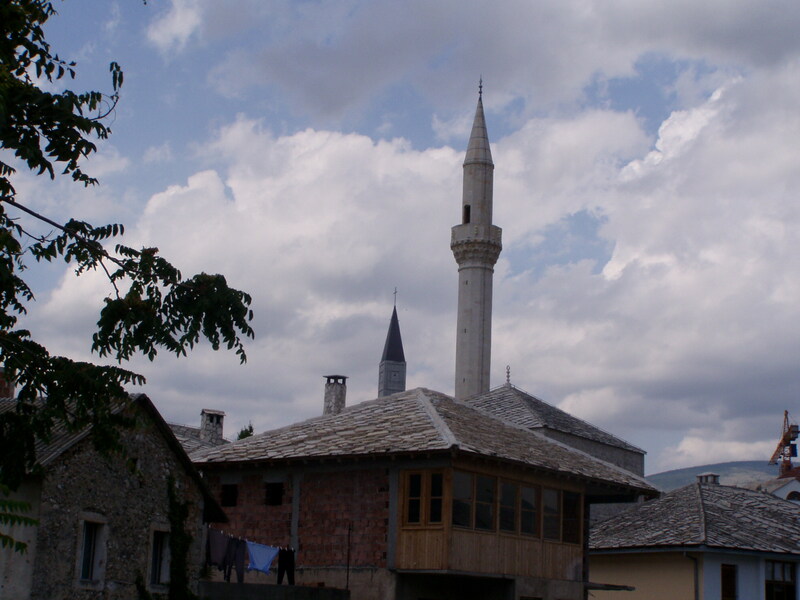 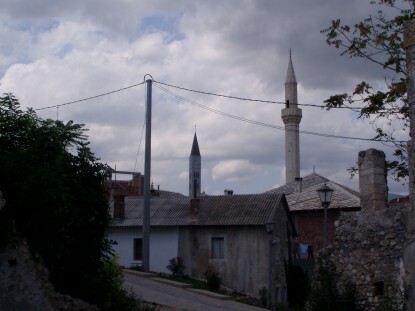 The town’s principal mosque is built by Hadzi Alija in 1563. From the beginning of the 18th century Pocitelj was the seat of the captaincy and in 1782 it became the seat of the kadiluk. 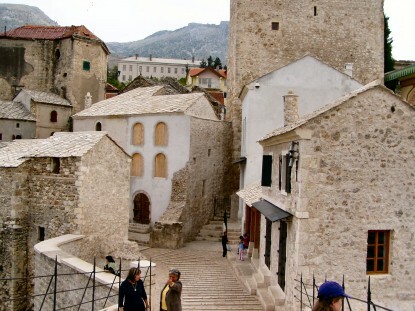 A seventeenth-century enclosing wall marks the height of the town’s growth. At the time, there was in the town an elementary school (mekteb), a secondary theological school (medresa) and also public baths (hammam) and an inn for travelers (han). 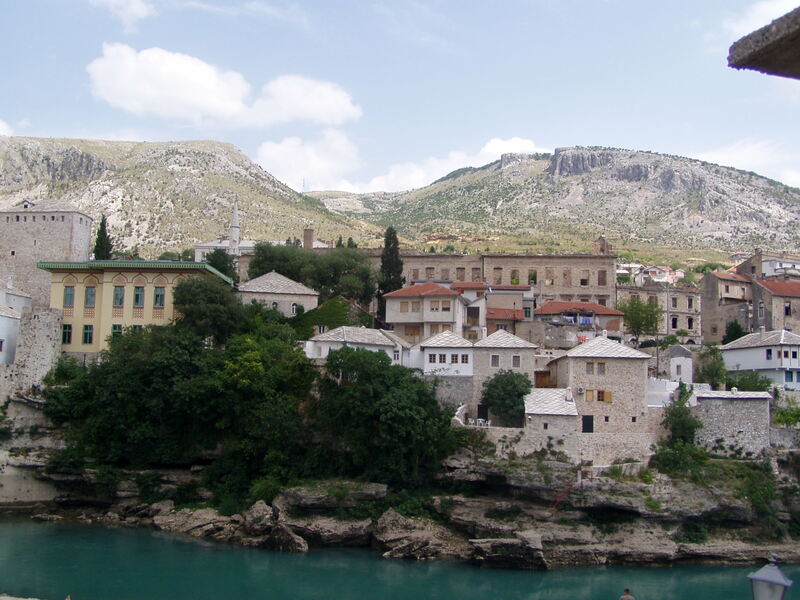 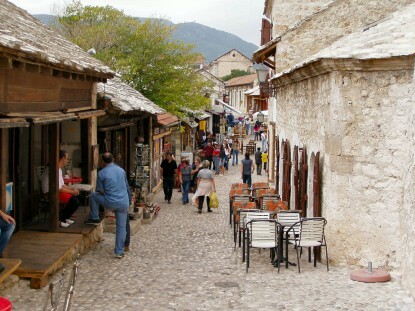 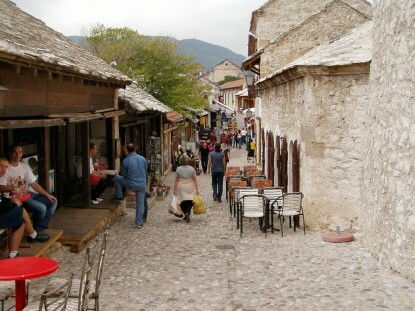 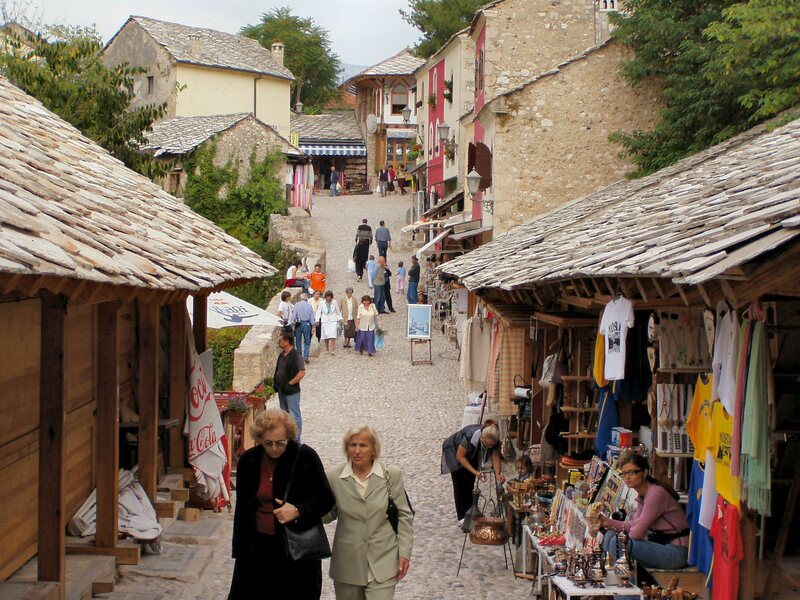 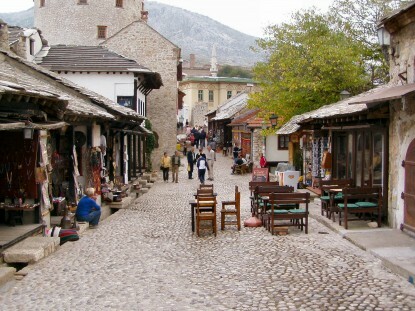 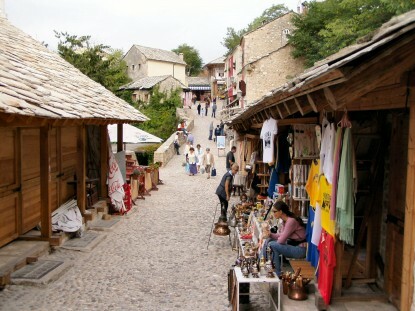 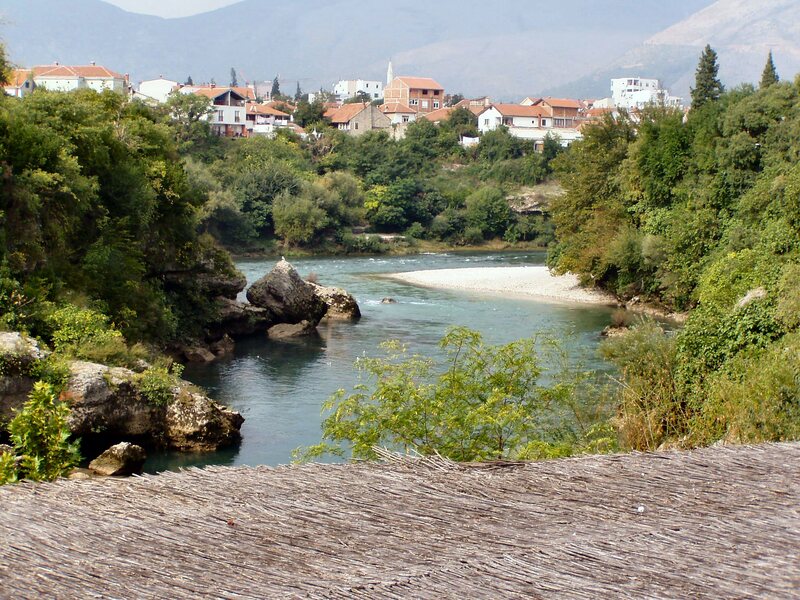 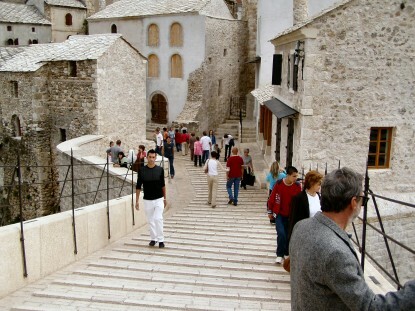 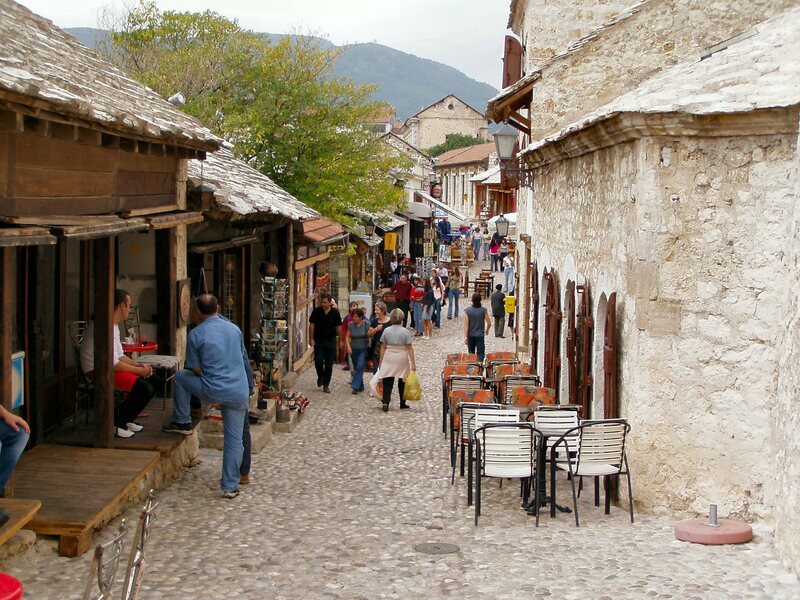 The town was constructed right into a rocky mountainside overlooking a bend in the Neretva River. 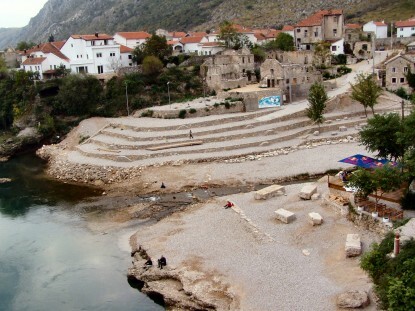 This gives it the aspect of a natural amphitheater, and is a delight for any architect with a feeling for environmental settings. 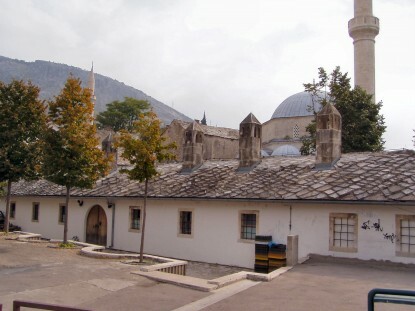 Its characteristic buildings are in Ottoman style. 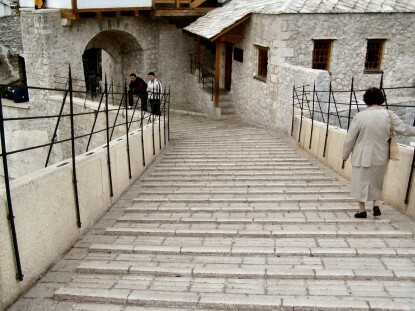 The Stone houses along stone pathways are an unique, hidden behind high walls surrounding peaceful, inner courtyards. It is testimony of a culture that internal values grace over external appearence. 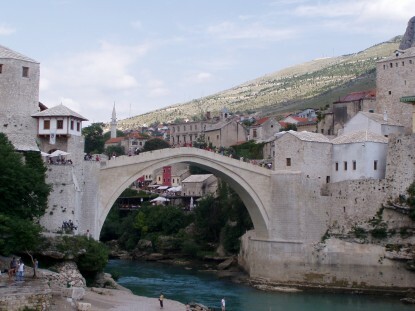 A rich history has left numerous historic and cultural traces in these parts of Bosnia and Herzegovina, none more so than the town of Mostar.